I recently clocked 100 consecutive days on Duolingo, where I’m learning French, Spanish, and Portuguese. I did French at school until I was 13, Spanish at GCSE, and initially picked up Portuguese to prepare myself for a holiday in Lisbon last year. This isn’t the first time I’ve done this many in a row but I wanted to commemorate the moment with a challenge: an XI featuring players who have played in France, Spain, and Portugal. It was difficult and my goalkeeper didn’t play in all three countries (if anyone knows of someone, let me know), but I’m happy with the team I ended up with. 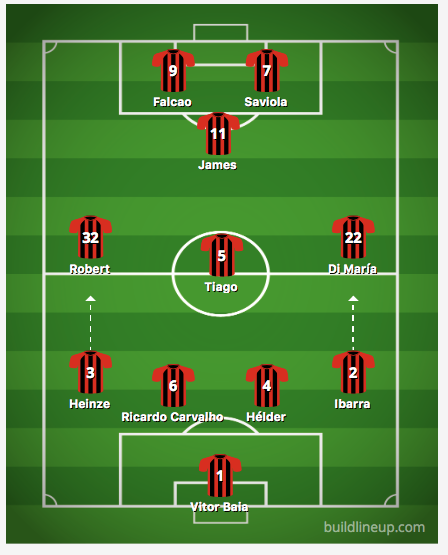 If you want to make your own XI, this link on Wikipedia helped me. Who woud be in your team? Let me know in the comments section.